Injured On the Field Friday Night? Walk Right In Saturday Morning! Beginning Saturday, August 29th and running through football season, The Sports Institute at The San Antonio Orthopaedic Group will hold a Saturday Sports Injury Clinic every Saturday morning from 8-10am. This walk-in clinic will allow athletes to be treated by one of The Sports Institute’s board certified orthopedic surgeons, all of whom have completed specialty training in sports medicine. X-ray, CT, and MRI imaging as well as casting services are available onsite to ensure there’s no need to make a second stop. 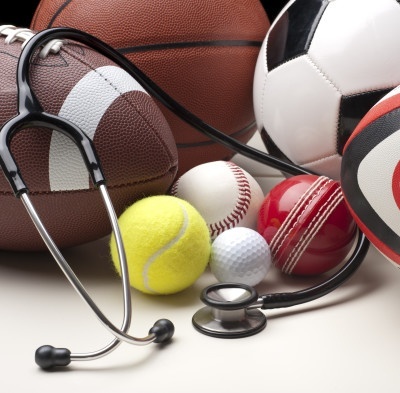 Best of all, a visit to the Saturday Sports Injury Clinic will bill to your health insurance as a specialty office visit, not an emergency room or urgent care visit, to keep your costs reasonable. Call (210) 804-5555 to learn more! When our patients have something nice to say about us, we like to brag about it! We encourage you to review and rate your experience with TSAOG. The next time you visit us, please take the time to fill out our customer survey and you may see one of your comments online the next month! You can also choose to submit a testimonial online anytime! Please note: Spelling and punctuation errors may have been corrected for readability. It’s National Athletic Training Month and a perfect time to acknowledge the contributions of athletic trainers as an important part of the sports medicine healthcare team. TSAOG would like to give a special shout out to our fantastic athletic trainers, Bryan Meyenberg, MA, ATC, LAT and Dallas Rainer, BS, ATC, LAT. These talented ATs work in conjunction with our sports medicine specialty trained orthopedic surgeons to provide coverage and support for athletic organizations in and around San Antonio, from middle school sports to community events up to the San Antonio Scorpions. Athletic trainers are healthcare professionals who specialize in the prevention, evaluation, treatment, and rehabilitation of athletic injuries. To learn more about athletic trainers and what they do, visit the National Athletic Trainer’s Association webpage. The San Antonio Orthopaedic Group (TSAOG) is participating in a research study evaluating an investigational treatment called NeoCart®, a tissue implant made from a patient’s own cells, aimed at repairing certain knee cartilage injuries. A total of 245 patients will participate in the research of the surgical procedure in up to 40 sites across the United States. Robert U. Hartzler, M.D., M.S. The research study will look at damage to the knee’s hyaline articular cartilage, the smooth, white tissue that covers the ends of bones where they come together to form joints. Damage to this cartilage may be caused by an injury or repetitive motion. It is a common problem that results in pain and symptoms, such as swelling, locking of the knee and loss of knee function. Damaged hyaline cartilage has limited capacity to repair or restore itself. Left untreated, the damage may progressively worsen and may lead to chronic conditions such as osteoarthritis. To perform the NeoCart® procedure, the surgeon first obtains a sample of healthy cartilage from the patient’s knee. The small sample is placed under special conditions in the laboratory that allow for cell growth. These cells are used to form a hyaline-like cartilage tissue implant that is in the shape of a small disc. The implant is then returned to the surgeon for surgical implantation into the patient’s’ injury site in the knee. Patients who are between 18 to 59 years old and who have symptoms of knee pain in one knee may be candidates for this study. However, those who have previously failed other treatments or smoke more than one pack of cigarettes per week may not be eligible. Patients accepted into the study will have a two out of three chance of being treated with the NeoCart® implant and a one out of three chance of receiving the microfracture procedure, the current standard-of-care for this condition. Patients in each group will have a specific rehabilitation plan and will be evaluated regularly for three years after treatment. The study sponsor is Histogenics Corporation. For more information, visit www.NeoCartImplant.com, www.clinicaltrials.gov (keyword “NeoCart Phase 3”) or contact The NeoCart Contact Center at (830) 469-4546, text KNEE1 to 87888, or email NeoCartContact@Histogenics.com. NeoCart®, a Phase 3 investigational product is an implant produced using a patient’s own cartilage cells. A Phase 1 clinical trial conducted in the United States demonstrated favorable preliminary results, which supported proceeding to a Phase 2 clinical trial. A Phase 2 clinical trial conducted in the United States comparing NeoCart® to the standard-of-care microfracture met its endpoints for safety and for improvement in pain and function. These results support the continued clinical development of NeoCart®. The two-year results of the Phase 2 clinical trial are publicly available (Crawford et al. J Bone Joint Surg Am. 2012;94:979-89). A Phase 3 clinical trial conducted in the United States comparing NeoCart® to the standard-of-care microfracture is currently in progress. Information about the study is available on http://www.NeoCartImplant.com and http://www.clinicaltrials.gov. The Super Doctors® list identifies top physicians in over 40 specialty areas, as selected by their peers and independent research conducted by Key Professional Media. Dr. Brad S. Tolin received additional recognition this year as part of the Texas Super Doctors® Hall of Fame since he has been listed as in Texas Super Doctors® for 10 consecutive years! 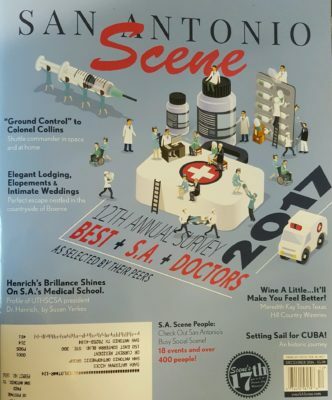 Congratulations to all our TSAOG Texas Super Doctors® 2014!